He voiced the character "Odacchi" in the "Dream Soccer King!" short that aired with the third One Piece movie, " Chopper's Kingdom on the Island of Strange Animals". 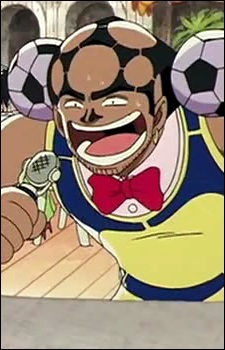 "Odacchi" is Oda's nickname, and he played soccer when he was younger.